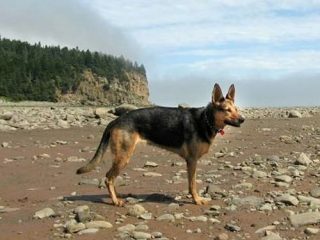 Three-legged German Shepherd Wyatt Ray plays Rin Tin Tin in Ron Howard’s Hollywood adaptation of Susan Orleans book, co-starring Justin Bieber and Miley Cyrus. Three legged German Shepherd Codie Rae is featured in the inspirational Patrick Stump video for Spotlight (Oh Nostalgia). Tripawds canine amputation profile of India, three legged German Shepherd Dog who lost a leg after degloving injury. 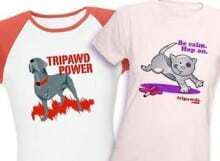 Pets Add Life Campaign and Tripawds Spokesdog Wyatt Ray Dawg teaches us humor, patience, poetry and more. 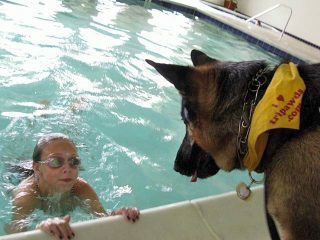 We are sad to announce that four year osteosarcoma survivor and Tripawd Hero Eisen earned his angel wings, April 28, 2012. Three legged Wyatt recovers from soft-tissue surgery at Colorado State University to find infection source at amputation site. 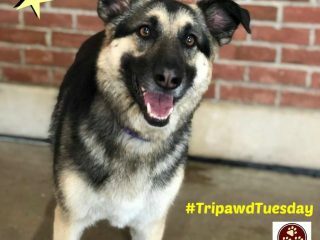 Three legged German Shepherd Tripawd dog Codie Rae stars in Patrick Stump video Spotlight (Oh Nostalgia) from his new Truant Wave EP. Watch the video premiere and download the album.